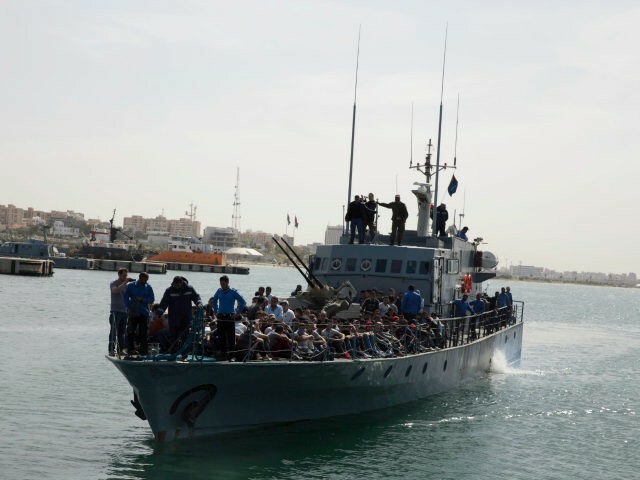 Libyan Navy Accuses Pro-Mass Migration Charity of Contributing to Migrant Deaths – Forza Nuova U.S.A.
Libyan naval authorities have accused the migrant transport NGO Seawatch of interfering in one of their rescue operations and contributing to the death of five migrants. Ayyoub Qasim, the spokesman for the Libyan coastal authorities, blamed Seawatch for the deaths saying they had refused to leave an area when asked by a Libyan vessel. Qasim added that the naval force was in the area responding to a distress call from the migrant boat, Il Giornale reports. The Germany-based pro-mass migration charity has one of the few vessels still operating in the search and rescue (SAR) zone off the coast of Libya. Many other NGOs have suspended their migrant-ferrying missions earlier this year after the Italian government released a code of conduct intended to make the organisations more accountable. The Italians have also accused some of the NGOs of working directly with people smugglers to provide what some described as a “taxi service” for migrants looking to reach the shores of Europe. In one case, the NGO Jugend Rettet had their ship the IUVENTA confiscated by Italian authorities. The Italians later released photographs which they claimed showed the NGO cooperating with people smugglers earlier this year. While some NGOs gave up on their migrant ferrying missions because of the pressure from Italy, others were motivated by negative encounters with the Libyan coastguard. In August, Spanish NGO Proactiva Open Arms had several of their crew arrested at gunpoint after being accused of turning off their ship’s transponders in the SAR zone. “Never come back, otherwise I will shoot you,” the Libyans added. The five deaths are the latest migrant fatalities in the Mediterranean which have numbered 2,925 in total so far this year, down slightly from last year when the total was almost 3,200.